Introduce all clients (lash extension wearers and non-wearers) to Total Eye Repair Serum by providing them with samples to take home. This clinically proven formula is ideal for all clients experiencing visible signs of aging, such as wrinkles, fine lines, sagging skin, and puffiness on the under eyes and on the eyelids. 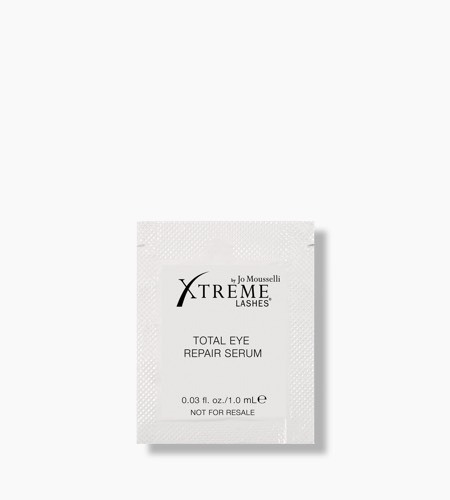 Insider Tip: Provide a Total Eye Repair Serum brochure with every sample packette you give away. Recommend the same application technique as mentioned in the product’s Insider Tip.